As we bid goodbye to Randy Toone, who returns to North America, we’re happy to welcome, effective September 1, 2014, Max Murray to the TAG Oil team as our New Zealand Country Manager. 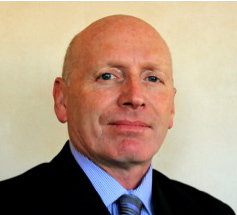 Max is a 30-year oil and gas industry veteran with a deep understanding of the New Zealand oil and gas landscape. He’s an excellent person to help TAG continue its evolution from a junior explorer to the busiest integrated explorer and producer of oil and gas in New Zealand. Over six years with Origin Energy, Max was most recently Manager of Production Upstream E&P and Senior In-Country Manager, accountable for the safe and efficient operation of all producing assets across Australia and New Zealand. Max previously held senior positions with Swift Energy New Zealand, Ras Laffan Liquefied Natural Gas Co. Ltd., and Methanex New Zealand.